Plot falters in Tom Cruise's drama "American Made"
“American Made” is a drama film that, while not overly dramatic, ended up being a fairly decent film. What it lacks in plot development is made up for in realistic characters and pretty good acting. This story is another “based on a true story” film which has been a trend recently. We follow ace pilot for TWA Barry Seal (Tom Cruise) as he gets a job offer from a CIA agent who offers Barry a job with them to fly into enemy territories and take photos of the communist threat in Central America. He accepts the job along with the new plane, a hangar and his own business that stays with him until the end called the IAC. Barry’s journey starts getting complicated with new orders and new job offers. Through it all Barry has to make sure his family is safe, he doesn’t get caught and that people don’t suspect a thing. Whether that means throwing cocaine, working with drug lords or even crashing planes into cars only to get away on a bike, Barry seems to do whatever anyone asks of him as long as the pay is all there. He does this regardless of whether it is the DEA, FBI, ATF or even just the local police asking him. This film has its ups and downs, one of the ups being the performances given by the actors, specifically Tom Cruise and Domhnall Gleeson. 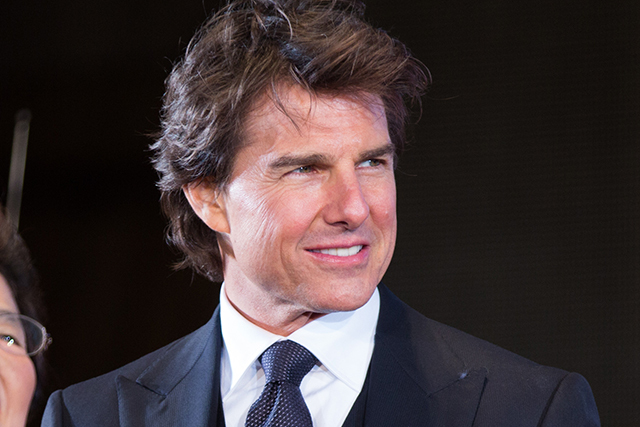 Cruise, as always, seemed to especially get into his role and play the charming, witty air pilot who takes the cash and always delivers. He gave many exceptional performances throughout the film including when he reacts to the DEA with Pablo Escobar (Mauricio Mejia), Jorge Ochoa (Alejandro Edda) and Carlos Lehder (Freddy Yate Escobar). Gleeson gives an amazing and very real performance of a CIA desk worker, Schafer. Throughout the film he pops up on behalf of the CIA to give Barry instructions and each time he appears on the screen, his acting really makes the character of Schafer feel so real and makes him very entertaining to watch even for a five-minute scene. One of the downsides to the film is the annoying pacing that makes the film feel like it drones on in many parts. Some parts seem to move at a snail’s pace making it difficult to watch, while others seem to fly past making you wish that they had more strategically placed the fast paced parts throughout the film. Another real downside to this film is how repetitive the adventures seem to be. Throughout the film so many people ask the protagonist to deliver something, however no matter where in the film you are it’ll feel the same as the other parts. Having the same kind of adventure over and over again makes it seem almost less dangerous than it actually is, and any actual damage or challenges seem simple, predictable and easily solvable. This film is fun to watch with a nice cast, very believable acting and performances that make the characters really jump to life. However, what it has in characters and acting it lacks in plot and pacing. “American Made” might be a film that is better to wait for on television rather than see in theaters.